Sgt. Jonathon D.R. 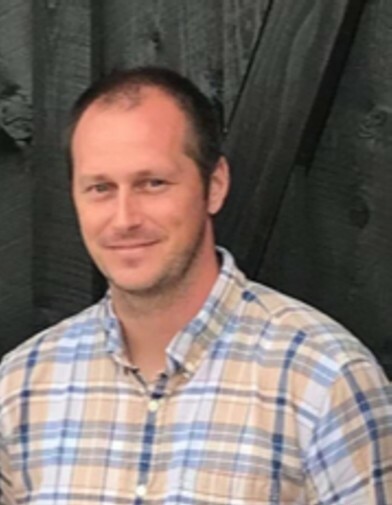 Hogue, 33, of Clyde passed away Friday, March 15, 2019 at The Canyonlands National Park in Moab, UT. He was born September 30, 1985 in Fremont, Ohio the son of John Natole and Laura (Gerhardstein) Tebeau. Jonathon was a 2004 graduate of Margaretta High School. After graduation, Jonathon attended the University of Toledo and in 2009 enlisted in the United States Air Force where he served four years at Eglin Air Force Base in Florida before entering the Air Force Reserves at Wright Patterson Air Force Base. He earned a Bachelor’s Degree in 2016 from Miami University and in 2017 an Associate’s Degree in Criminal Justice from the Community College of the Air Force. In 2018, he graduated from Ohio University earning a Master’s of Science. Upon graduation, he entered the University of Iowa’s Doctorate Program, where he currently was a student. During his time at both Ohio University and University of Iowa, Jonathon served as an associate professor. He enjoyed hiking, painting, playing guitar, writing songs & poems, and visiting national parks. Jonathon is preceded in death by his paternal grandparents, Joe and Tina Natole; maternal grandparents, Rodger and Irene Gerhardstein; step grandfather, Richard Tebeau. Friends will be received on Saturday, March 30, 2019 from 1 – 3 p.m. at Foos & Foos Funeral Service, 151 Yorkshire Place, Bellevue. A graveside service with military honors will follow at Golden Hill Cemetery, Bellevue.